Today, May the 30th, is a great day. 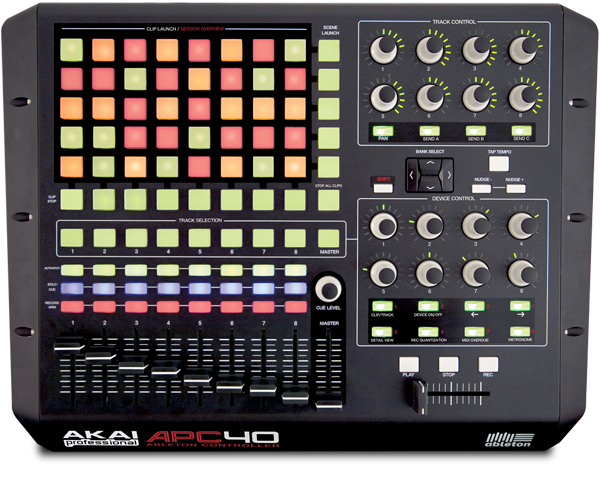 Not only the sun is shining but the AKAI APC 40 Ableton Live MIDI Controller is officially released. Since the announcement I’ve been looking forward to get my hands on this peace of hardware. I am still waiting for my order to arrive, but hope to be able to tell you more soon. This great machine is going to get me really fired up with Ableton Live and hopefully forefill all my control needs for DJ-ing with Ableton Live. For what I’ve seen so far on the internet this looks like a next step for a lot of people to take their performance with Ableton to that next level. I sure hope it is going to work out for me that way.